Here I will explain my routine for auditing on-page SEO. 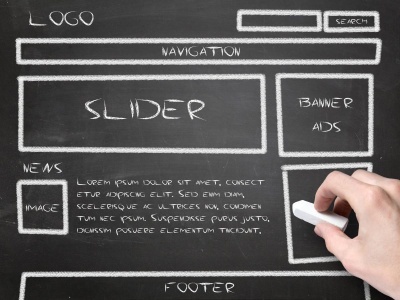 I will begin by showing what to do with a brand new website. Everything you’ve read so far can be a little overwhelming, how pages on your site must maintain a certain percentage of keyword density, and interlink between pages properly. In practice, you may be outsourcing a significant amount of your content creation, and the writers won’t easily be coaxed into monitoring keyword densities. When you have new content, put it up. It’s ok if it isn’t perfect. You will make it perfect over time. There are two reasons for this, the first is that age is important — the older the article gets, the better it will rank, and you should get it posted so this aging process can begin. The second reason is that you are putting on a show for Google, that the pages on your website improve over time. Putting up a page that you know needs improvement, then later doing the fixes, is a good thing. Even though age is a factor, if you have 10, 20 or more pages — do not put them all up at once. 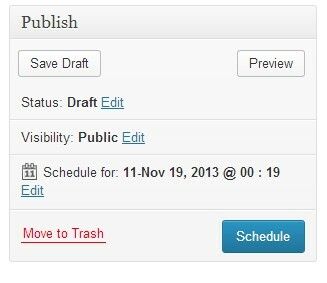 Also, do not use the scheduling feature of WordPress to schedule them to post at the exact same time every day. Instead, use the scheduling feature to post one, zero, or two per day — or whatever posting schedule that will seem somewhat consistent, but not at the exact same times. We’re trying to avoid looking like the content is auto-generated. We’re going to give Google every signal that the site is a well maintained, constantly improving, consistently growing and actively managed website. Though this is subject matter for a different guide, get the site some quality links. A few good links is necessary. When you have a website full of content, growing constantly and approaching 50 to 100 pages — the site will being ranking mostly under the weight of its own internal linking. However, you still need some external links. Unless you’re chasing after uncompetitive to medium difficulty keywords, you won’t have success if you’re not creating external links. Furthermore, it will be difficult to know whether you’re balancing your on-page SEO properly, as you won’t be ranking for much, whether your on-page SEO is perfect or not. Go through your articles, one by one. Use SEO Book’s keyword density tool. Uncheck “Include Meta Tags”, “Include Meta Tag Description” and “Include Page Title”, pasting your articles URLs (one at a time) and click submit. 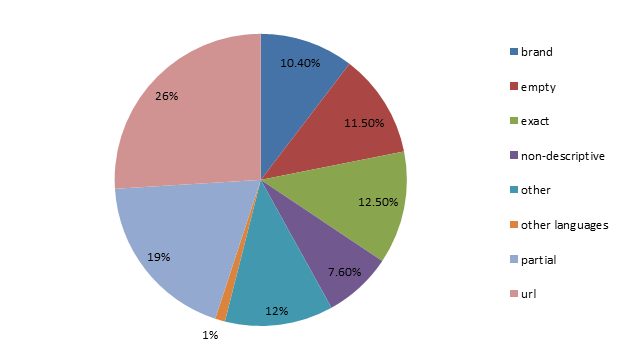 Again, below are the proper keyword density ranges that you want to stay within. Here is something important to remember. 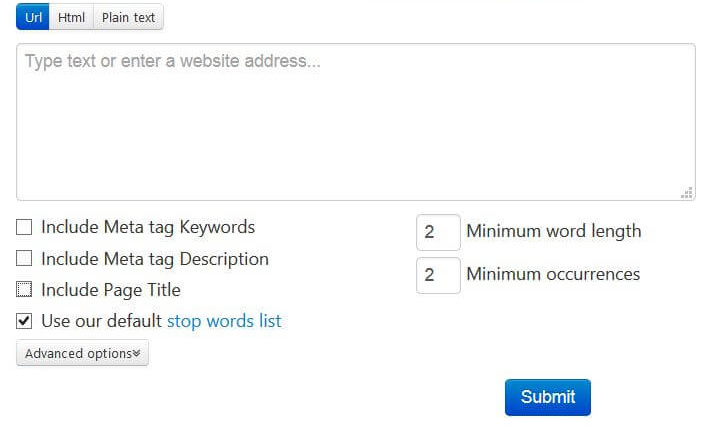 Your page can suffer filtering penalties if any words are over the above keyword densities. This isn’t just about the keywords you want to rank for. Any keyword stuffing is going to get you filtered. Though I like the Quirk Searchstatus tool for spot-checking keyword densities, the SEO Book tool will break down every single keyword that is on your page, allowing you to check words you weren’t even considering, whether they’re outside proper keyword density ranges. Your goal is to take the keywords you want to rank for, and make certain they are the most used keywords on the page, yet without exceeding the upper-bound limit of the listed keyword densities. There are a few more rules to consider. You must add plural and singular forms together, so that both added together do not exceed the listed upper-bound limit. If Google considers terms to be extremely similar, reduce keyword density some. I’ll explain this more below. The plural vs singular should be easy to keep track of. An example of this would be credit card and credit cards. These are two-word keywords, so their upper-bound density is 1%. You could have credit card at .3%, and credit cards at .7%, or vice versa. All that matters is that, when combined, they’re not exceeding 1%. The extremely similar terms are a bit more of a challenge. Consider the term best weight-loss pills. If you go to Google, and type in “best weight-loss pills”, below you will see results, along with snippets from the pages that rank. In that area, Google will bold wherever your searched-for term is within the snippet. What do we find bolded? I see “weight loss pills”, without the dash (-). Google considers that to be exactly the same word. I also see “weight loss supplements” bolded. It appears that Google considers the words “pill” and “supplements” to be inter-changeable. I’m seeing “diet” bolded. I see “lose weight” bolded, so that Google thinks “lose weight” and “weight-loss” and “weight loss” are equivalent. Now you’re auditing your page on weight-loss pills, how do you balance all these words that are extremely similar? I typically will tone-down the densities to make sure they’re at the lower-bound density. These words are LSI-related terms, they’re not exactly the same. However, if you’re writing an article with “weight loss” at 1%, and “weight-loss” at 1%, and “lose weight” at 1%, and “diet” at 1.1%, the page will start having issues of over-optimization. Crank them all down to the lower-bound .7%. Once you’ve edited the densities, it’s time to link the page to other pages, and get the page links from other pages. If you’ve installed YARPP (yet another related posts plugin), look at the relevant pages it lists below, and decide how to best fit those same links in-content. If you’re not using YARPP, go to Google and type site:yourdomain.com keyword, where the keyword is the focus of your current article. Take the top three pages that Google shows as relevant, and work links to those pages within your current page. Try for at least three outgoing links per article. Next, get links from those same pages. Go to each of those three pages, and work a link, in content, back to the main article you’re editing. Mix this up a little, so that the to and from links aren’t always exactly reciprocal. Also, don’t always make it three, sometimes two and sometimes five — whatever seems most natural within your content. Finally, improve the page somehow. Add another paragraph, or two. Add a photo. 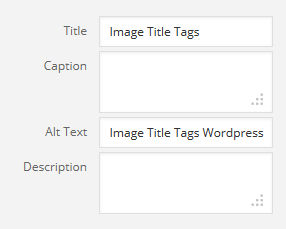 Fix the alt-tag on an existing photo. Organize the article better, add an H-tag or two. Bold and italics some words. We’re showing Google that we maintain our website, that all pages are cared for and improved. Now would be a good time to make certain that your page is monetized as best as possible. Is your ad placement optimal? Are you linking to every Amazon product you can? Is there a clickbank product that fits the page theme? Budget your time, limit yourself to 10 minutes per page (for instance). Fix three pages a day, or however often as you can reasonably manage all of your content. Your page should always rank #1 when searching for your article title, along with your brand name. This is an evidence that your website is not considered fishy to Google, and that you’re not getting filtered. If your page can’t even rank for it’s title + your brand, you’re being filtered. If your page has had proper keyword densities for a week, Google most likely has revisited it and made any SERP adjustment its going to make based on your content changes. If it’s still not ranking, you’re still filtered. You must diagnose why this is happening. Did you heavily link to the page? Did you use too high percentage of exact-match anchors? If so, whatever that exact-match keyword anchor was, reduce your page’s keyword density even more for that particualar keyword. Does your website have no external links at all? If so, get a few links. Is your keyword title too exact? If so, dilute the page title, so that your internal linking is diluted, and your page isn’t having such a high percentage of exact anchors from within your site. Make an improvement to the page, and wait a week before auditing it again. Does your page rank #1 for your article title + brand? Excellent. Next, your article should rank somewhere in the SERPs for your desired keyword. Depending on the competition and difficulty of the keyword, the keyword should be in the top 100 or the top 20, but it should at least be somewhere. Let me take a break here from on-page optimization, and lets discuss keyword research. The goal of selecting keywords, is to pick something that you’ve got a snowballs chance of ranking for. Adjusting your keyword density will get your page out of penalty, so that it can rank based on the merit of your content and the quality of your links. Obviously, writing a good article without getting any links, you’re not going to be ranking for “payday loans”, or “garcinia cambogia” or “how to lose weight”. You might rank for “best free minecraft server”, or “product1 vs product2 which is better”. If you’re wanting to do mainly on-page, and nearly no backlinks, your goal is to find low-hanging fruit that is easy to pick, has the most profit and the least amount of competition. This subject is big enough to require a guide by itself. You should feel comfortable in selecting keywords before you even make a website. If you’re not sure about your ability to pick keywords you can rank for, research that before creating your website. Coming back to on-page SEO, if you’ve picked the right low competition, high profit keywords, you should be able to rank somewhere in the SERPs, depending on competition within the top 20 or top 100. Next, you’ll continually improve your ranking through internal linking, continually improving your page and the other suggestions for improving your rank through on-page SEO found in this guide. Continue reading, next I address pages that rank well even though they aren’t following advices found in this guide. Why does that site with 3% keyword density still rank? I’ll discuss this and more on the next page.